The Drill Doctor is a grinding mechanism designed for sharpening drill bits. 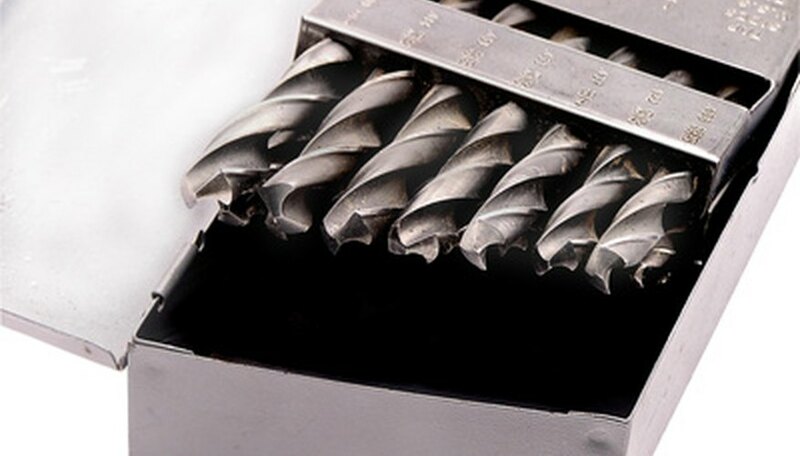 There are a few models of Drill Doctor, from a basic single-angle sharpener for twist drill bits to more versatile models that grind at different angles (based on the type of bit) and have the capability to grind larger diameter bits. The higher end models can sharpen a variety of bits, including cobalt, high-speed steel, carbide, titanium-coated and masonry bits. Insert the blunt end of the drill bit into the Drill Doctor chuck. Tighten the chuck so that the bit will slide in and out with no wobble. Hold down the alignment port button on the Drill Doctor. Insert the chuck into the alignment port. Slide the drill bit forward until it touches the drill stop. Release the alignment port button and tighten the chuck knob. Remove the chuck from the alignment port. Re-tighten the chuck around the drill bit to make sure that the bit is secure in the chuck. Turn on the Drill Doctor. Insert the chuck into the sharpening port. Rotate the chuck in an even number of half turns until the bit is sharp. Remove the chuck from the Drill Doctor. Loosen the chuck and remove the sharpened bit from from the bit holder. Most Drill Doctor models will sharpen bits from 3/32-inch to 1/2-inch. A 3/32-inch bit will require 2-4 half turns to sharpen the bit, a 1/8-inch bit will require 4-6 half turns and a 3/8-inch bit may require 16-20 half turns. When using power tools, always wear appropriate safety gear, including safety glasses.